Miserable Pile of Secrets: The Essentials: That's a Wrap! The X-Men Legends games were the only titles listed to release simultaneously on multiple platforms. I counted them under GameCube because that was what I played them on. The numbers vary depending on how you assess the myriad ports of the Final Fantasy and Resident Evil games. For the record, I played the PS1 versions of FF IV-VI and Chrono Trigger, the Dreamcast versions of RE2 and 3, and the GameCube version of Code: Veronica X. Because those were all minor ports that did little if anything to improve upon the originals, I thought it more sensible to list the first releases--domestic in each case, except for FFV. 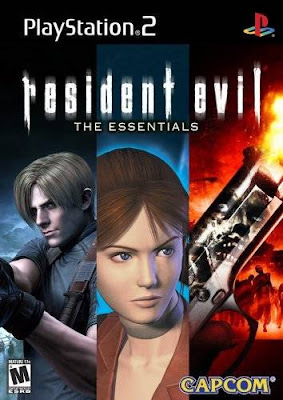 The GameCube remake of Resident Evil differs substantially enough to merit regard as its own game, although the original obviously deserves a place on the list, even though I did not specifically discuss it. In the case of Skies of Arcadia Legends, I'm too lazy to research the changes, so I'll just say that my post applies only to the GameCube version. Anyhow, after a year of weekly posts, "The Essentials" now comes to a close. As with this blog as a whole, I never had a specific mission statement in mind. This is clearly not a definitive list of the greatest video games of all time, nor even all my personal favorites. I think the original motivation was just to set down and share a few personal anecdotes about some games that I loved. Looking back, I think my weaker entries were those where I strayed from that approach. Honestly, Syphon Filter wouldn't make my top fifty of favorites, but I happened to have an anecdote about it that I wanted to share. Street Fighter EX3 is hardly the greatest Street Fighter, but it is nevertheless a damn fine game that I thought deserved better than its reputation. That was why I chose to post about it, and it subsequently served as the representative for the entire series, not because other entries are less worthy of individual mention, but because I quickly realized that I would not be able to speak intelligently and meaningfully on one fighting game after another. Ditto for Pokémon Stadium and that franchise (no pun intended). As for great games that I omitted, I would have liked to have included some form of F-Zero, but again, as much as I love that series, I don't think I actually have very much to say about it. Indeed, the main reason I'm stopping here is that I am now close to out of stories. For now, I am reasonably satisfied that I was able to cover 58 games in 52 consecutive weeks (admittedly, the number of games would be cut down considerably if I limited each series to one representative). Looking forward, I've considered starting up a different feature covering all the JRPGs I've played--any stories I've saved would probably be included there--but the difficulty with that is that most of them are plot-driven, and I can only remember so much about games that I played years ago. Really, I think it's time I got busy playing some more games and filling some of those holes in my experience. Maybe I'll finally get around to some of those Metroid and Zelda titles. Personally, I've also always been curious about the Silent Hill series, although I'm not really sure where to start. In any event, having gotten through these reminiscences, I'm now looking forward to making new memories. For Silent Hill, you should play through the Silent Hill on the PS1 and then Silent Hill 2. If you like those, I definitely recommend 3 as well. Be sure to consult an FAQ to make sure you get a good ending. That "Metroidvania" moniker is clever, but I think there are crucial differences in the way the two series played. Maybe it's obvious, but a game where you shoot a gun is going to feel different from one where you swing a sword/whip. Between Metroid Prime and Metroid: Zero Mission, you have two opportunities to start filling in big gaps in your library. In fact, I think that your missing out on Zero Mission is equivalent to my missing out on Symphony of the Night. Anyway, those two Metroid title would feature prominently on my "Essentials," though I would probably call my series, "The Excellent Ones" or "These Great Games."